Building and maintaining an audience is the most fundamental challenge faced by any broadcaster, commercial or community. Forget advertising revenue, what’s the point of creating a body of work if there is no-one to appreciate it? My name is Ian Nockolds and I’ve been involved with community radio for the past ten years. In that time I’ve been able to develop my passion for sport into a successful weekly magazine programme that has delivered real strategic benefits for the station, as well as providing an important resource for the local sporting community. But none of this would have been possible without the support of the local grassroots sporting community, who provided everything from the content to the audience! Sports broadcasting may not be everyone’s cup of tea and with 24 hour dedicated sports coverage available on television and radio, not to mention print media and the internet, it may appear that there is little opportunity for the community sector to make a contribution. Not so. Whilst commercial and public service broadcasters have cornered the professional sports market , amateur Clubs have been left out in the cold. Radio, more so than television, provides a platform where amateur broadcasters have the potential to produce content on a par to that of the professional. To this end, there is an obvious synergy between grassroots sports people and amateur broadcasters, both looking to achieve the best possible result, using what little resources they have at their disposal. That is why I felt that providing these Clubs with a media platform, on which they can both showcase their achievements and promote their activities, represented a perfect opportunity for community radio to find and build an audience. Sport England estimates that during the year up to September 2016, 16 million people aged 16 years and over played sport at least once a week. Only a tiny fraction of these will have been playing professionally, yet that is where there vast majority of broadcasters focus their attention. If community radio can pitch its offering correctly, there is clearly a huge market for news about local opportunities for people to become involved in sport, be it competitive or recreational. Starting with local football, the broadcast area I covered focussed on three main amateur clubs whose home attendances average from 50 to 150. These people are a very obvious target for potential listeners. Logically they will be interested in news about their Club, as long as it can be differentiated from that which can be gained over the bar at the end of the match. What I hadn’t appreciated is that the players, not the supporters, would be the first to engage with the Show. In reality, the key challenge was to produce a quality of content that would be both informative for the listener and respectful of the Club. Community radio can provide a level of recognition and the chance to celebrate success on a platform historically considered inaccessible to most amateur Clubs, yet there is an important balance to be struck. 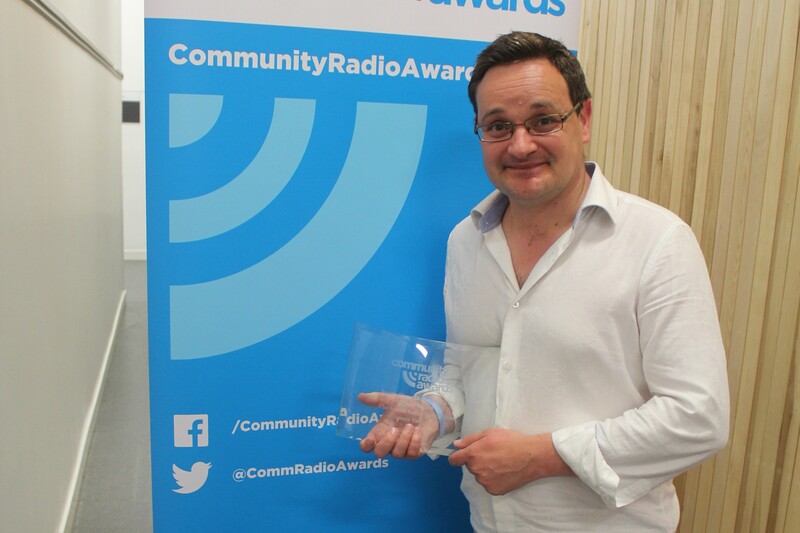 When Kipling wrote “If you can meet with Triumph and Disaster and treat those two impostors just the same” he wasn’t talking about Community Radio! In my experience, the prospect of professional style broadcast coverage is enthusiastically welcomed by Clubs enjoying success on the pitch, but my approach had to be sensitive to the siege mentality that the custodians of grassroots sport adopt at times of crisis. Long term success is dependent on achieving this crucial balance. Sport is a cyclical business, the promotion chasers of today are inevitably the relegation candidates of tomorrow. Building the relationship between broadcaster and contributor is about developing trust. I wanted my Club contacts to be clear about what I wanted from them, not just in terms of an interview but what I wanted their Clubs to get out of their association with the radio station. The sports coverage we produced, evolved over 8 years. We couldn’t always do everything we wanted to do, but we endeavoured to deliver a consistent quality of broadcast, be it through our weekly magazine show or our live match commentaries. Effective communication, proactive expectation management and more than a little patience were the foundations around which I built my relationship with our contributors. Having first won the trust of the key decision makers at the Clubs, we set about building our audience through first the players, their friends and family and then the wider supporter base. I had envisaged a viral marketing “domino” effect, yet sport is notoriously partisan and having secured the support of one Club, it didn’t necessarily mean that more would follow. Indeed, I was well aware of the danger of being too closely associated with one team, as a perceived lack of impartiality could undermine the credibility of the entire project. This is no different to the challenges faced by any community broadcaster, particularly those based in a rural area, where there can be a tendency to gravitate towards the largest population centre. The “domino” effect I was looking for ultimately came about between sports. Our football coverage in the winter was replaced by cricket in the summer. In time we developed links with tennis and rugby clubs, all based on the same blue-print of developing trust through effective communication. Perhaps the most exciting opportunity for community broadcasters is the chance to showcase niche sports. Once the regular listenership is established this provides activities like cycling, croquet or target shooting, with the chance to publicise their activities to a wider audience than they would normally have access to. Just as importantly for the broadcaster, it provides the opportunity to vary content, striking a balance between the core features that keep listeners tuning in, as well as giving them something different that freshens up the coverage. Looking into the future, I believe the greatest opportunity for the community sector is the potential for collaboration. I started by focussing on individual teams, but if content can be delivered that covers entire Leagues, the opportunities for content sharing are vast. Its also worth considering that if the community sector can demonstrate its strategic commitment to build an audience across grassroots sport, governing bodies such as the Football Association, England and Wales Cricket Board, the Lawn Tennis Association and the Rugby Football Union, all become viable targets for advertising revenue. In the short term, community stations struggling to engage with their local community should certainly look at the potential benefits that come from building an audience through sports broadcasting. It took me years to develop the relationships I have today and I had the benefit of a passion for sport and a hugely supportive station manager. I’ve made plenty of mistakes over the years, but building an audience gave me the platform to make those mistakes in the early days, so that by the time our reputation was established, I had the experience and confidence to deliver more consistent content. No matter how young or inexperienced, community radio can provide the platform for the sports journalists of tomorrow to cut their teeth in a media world that is becoming increasingly competitive. Personally, my time at Somer Valley has proved incredibly rewarding, not just because it enabled me to indulge my passion for sport, but because the broadcasting skills I developed have been useful in my working life. If this journey appeals to you then I hope my experiences provide some insight into how you can develop your own stations audience through sports broadcasting.